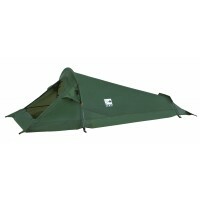 A classic in its own right, the 3 pole tunnel design is simple but devilishly efficient (Stan's school report). With exceptional storage and magnificent sleeping compartments the Equinox is the obvious choice for multi-activity outdoor worshipers. 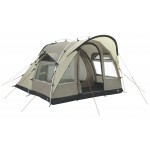 Cyclists, climbers, paddlers, trekkers and all round adventurers who want a solid base camp or portable palace will love the Equinox. 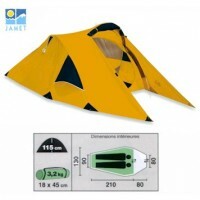 The key features of the Equinox include the patented TBS PRO, a lightweight tension band system that ensures the tent performs in adverse weather conditions, a Protex 40D SPU-RP3000 silicone elastomer coated ripstop nylon flysheet, HD nylon 5000 groundsheet, Powerlite 7001-T6 light alloy, pre-angled poles, mesh ventilation on 70D RS breathable polyester inner tent to reduce risk of condensation, flat external pole sleeves, Powerlite alloy poles, continuous external pole sleeves with pole sleeve tension adjustment, double entrance doors one with mesh cover, 'Crystal Clear' windows, reflective piping, flysheet vents, 'O' shaped inner doors with half mesh and cover, inner tent pockets, compressions stuff sac and a repair kit. Pitches fly first. 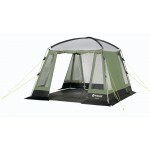 Vango Equinox 250 Mountain Tent - 2010 Model.